October 23, 1926 – Funeral Services for John G. Shedd, the Chairman of the Board of Directors of Marshall Field and Company, are held at Fourth Presbyterian Church. Officiant is the Reverend John Timothy Stone of Fourth Presbyterian, assisted by the Reverend Albert Joseph McCartney, pastor of the Kenwood Evangelical Church, which Shedd attended. Shedd was born on July 20, 1850, the youngest of eight children, in Alstead, New Hampshire. At the age of 16 he walked away from the farm life, taking positions in dry good stores in Vermont, New Hampshire, and, in 1872, Chicago. A year after the great fire destroyed the city, Shedd began work for Marshall Field and Company as a stock boy, rising through the ranks to become president of the company in 1906 upon Field’s death. Five years before his death the National Cyclopaedia of American Biography wrote of the man, “Mr. 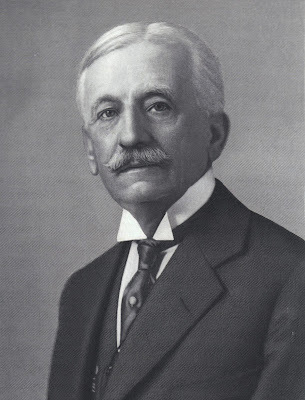 Shedd’s aim is to supply nothing but serviceable merchandise, when possible, of better quality than furnished elsewhere; always to satisfy his customers, no matter at what cost or inconvenience, so that they will become the best advertisers of the store, to treat employees with the greatest consideration and thus inspire their loyalty.” Shedd was one of the founders of the Commercial Club of Chicago and instrumental in the organization’s underwriting of the Chicago Plan of 1909, the first large scale attempt at urban planning in the country’s history. He contributed extensively to Chicago museums, charities, and institutions with perhaps the most important gift being the contribution that led to the construction of the aquarium named after him. He is buried in Chicago’s Rosehill Cemetery. 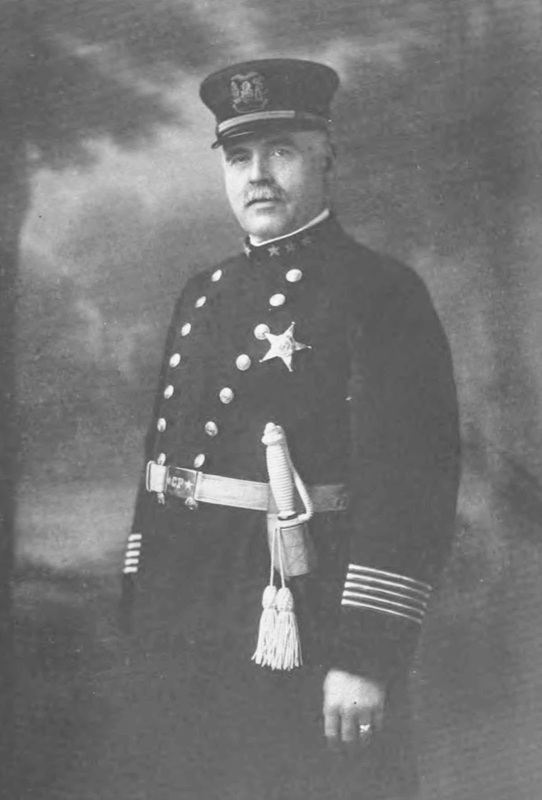 October 23, 1913 – I will admit this up front -- every time I see a news report about the Chicago police commissioner of this era, I have to cover it. I love this guy’s name. 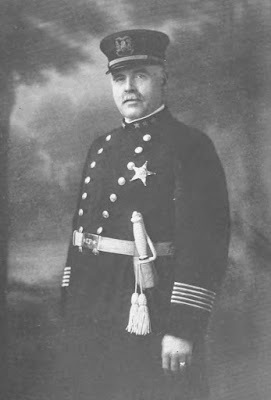 It was on this day that the city’s top cop, John McWeeny, walks off the job after Mayor Carter Harrison fails to support him in a controversy that has developed between McWeeny and Major M. L. C. Funkhouser, newly installed in the department to take charge of morals investigations, efficiency reports and business affairs. Funkhouser’s seventh report, printed in the Chicago Daily Tribune, alleges that “. . . there were more than 100 objectionable houses operating openly. In the old red light district there were more than thirty resorts running without concealment, although the district is supposed to be ‘closed.’ Along State street and adjoining thoroughfares ‘wide open’ conditions prevailed from Sixteenth street to Thirty-First street.” [Chicago Daily Tribune, October 24, 1913] McWeeny’s response to the report was, “I have had Funkhouser’s report investigated. Some of it is stuff we have known right along and some of it we can’t verify at all. If I were investigating serious matters I wouldn’t tell the world about it, as some people do. Funkhouser can’t give me any orders.” That was probably the last straw for Mayor Harrison, who chose to back Funkhouser, prompting McWeeny to walk.